WELCOME .. IN THE GREATEST SITE OF MILITARIA IN THE WORLD ! LA NOSTRA DITTA E' APOLITICA E NON E' LEGATA A NESSUN PARTITO O MOVIMENTO POLITICO PASSATO O PRESENTE. 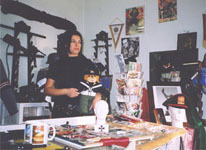 TRATTA REPLICHE DI MILITARIA DALL'ANTICA ROMA ALLA SECONDA GUERRA MONDIALE, PER COLLEZIONISTI, RICOSTRUZIONI STORICHE, CINEMATOGRAFICHE, TEATRALI E MUSEI. 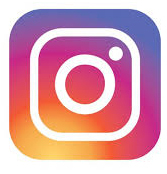 OUR COMPANY IS APOLITIC AND IS NOT LINKED TO ANY PARTY OR POLITICAL MOVEMENT PAST OR PRESENT. MILITARY REPLICA TREATS FROM THE ANCIENT ROME TO THE SECOND WORLD WAR, FOR COLLECTORS, HISTORICAL RECONSTRUCTIONS, FILMS, THEATRALS AND MUSEUMS. MILITARIA COLLECTION: have now over 3.000 items in the catalogue, and almost every item it's our production! We want to conclude with a THANK YOU to all our customers - that are thousand and all very prepared collector that from every part of the world honour us with their esteem and friendship, whose precious advices have us help for to improve always more the quality of our items. Sorry if my english don't is very good! 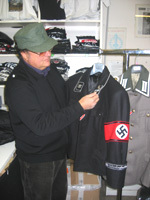 MILITARIA COLLECTION: The best reproduction for the particular collectors also for historical , cinematography and theatrical reconstruction .Our company makes and sells military replicas of the third Reich ,the fascist era , and R.S.I (italian 1922-1945). Click for see the special offert !! Caps Afrika Korps , General WH " Grey cane Field""Erwin Rommel"
COST OF DELIVERY The delivery cost are charged to the customer. Payment : When yuo make your order, we'll inform yuo the price total included the shipping cost and we'll give you our address for make the payment in advance. Except the uniforms realized on measure, we send yhe orders in 24/36 hours from receipt of yuo money. 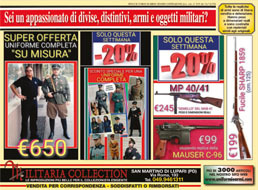 Attraverso il sito www.militariacollection.com � possibile effettuare ordini, visualizzare le immagini dei prodotti stessi, prezzi etc. ma non esitate a chiedere ai nostri operatori o rappresentanti di fornivi informazioni o qualche offerta. L'azienda � convenzionata con corrieri che assicurano il servizio anche in situazioni di emergenza. La copertura del servizio � nazionale, isole comprese. Pagamenti: in contrassegno oppure con bonifico bancario anticipato. is specialized in sale for correspondence. 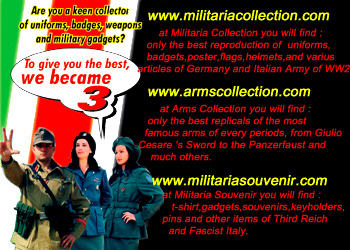 Militaria Collection � is a registred trademark - All right reserved. Militaria Collection � e' un marchio registrato - Tutti i diritti del progetto riservati.